Pretty silver earstuds. 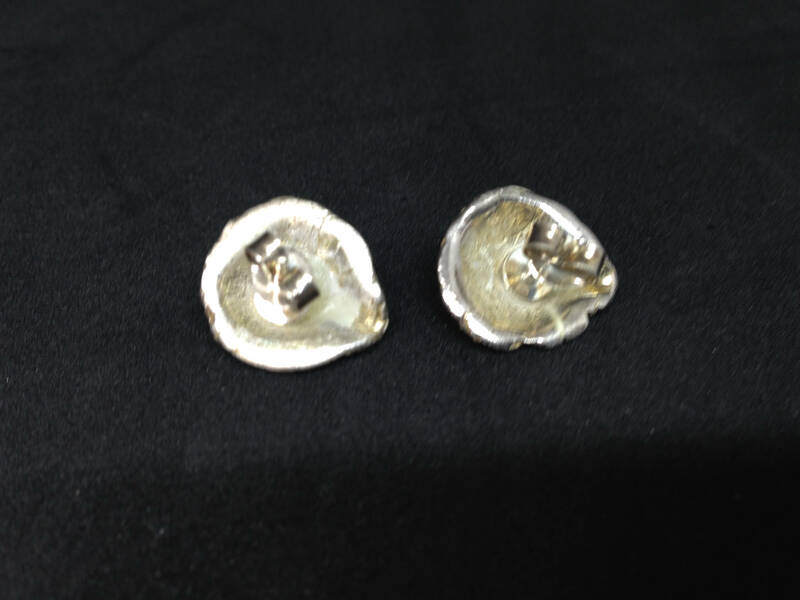 Studs with sterling silver posts and a fine structure a real eyecatcher. 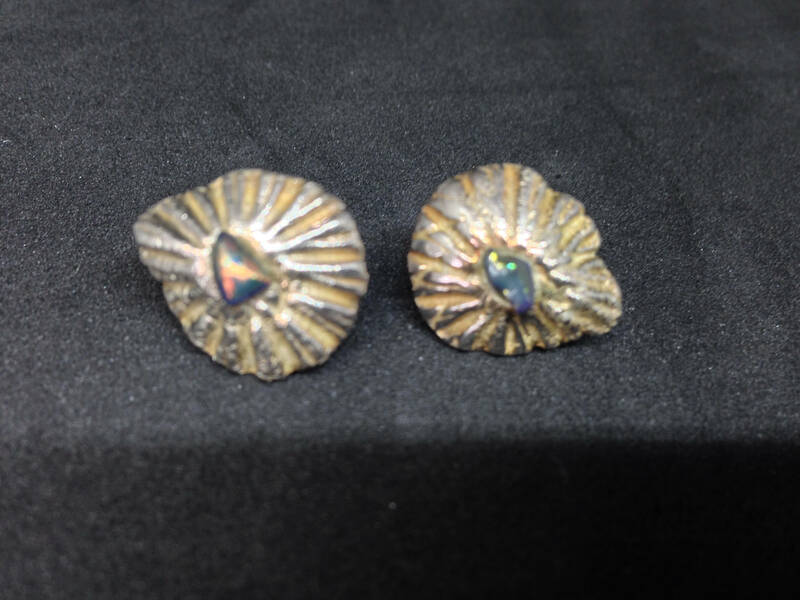 Dichroic accents shining different on the left and on the right stud.